I love squash. All squash. My favorite, though, is crookneck squash. I know, you are probably like…really? You could pick any squash as your favorite and that’s the one you pick? Yep. I pick crookneck. You know how when you are a kid and you eat something and it sticks with you and you carry the love (or hate) for it into adulthood? The taste of it, the smell of it, and even how it made you feel? Ok, maybe “the way it made you feel” is taking it a bit too far, but you get the idea. Crookneck squash reminds me of summer days at my Mammy’s house, slurping it up by the bowlful. She would boil it with onions and salt & pepper and serve it in these cute little pink Lucite bowls. I would always burn my tongue because I could never wait long enough for it to cool down before digging in. I am not sure who liked it more…me or my great-grandpappy. To this day, it is one of my favorite vegetables. 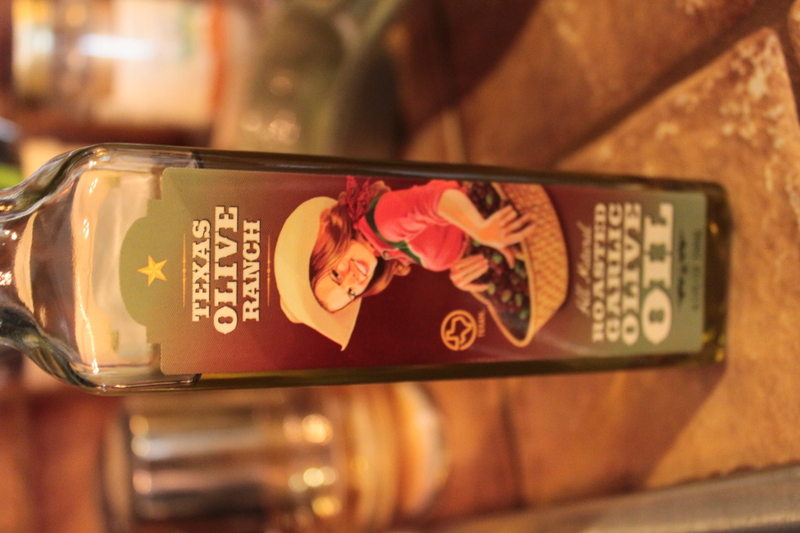 Is that not the cutest, little, redheaded cowgirl on their bottle? I am partial to red-heads, and it is NOT because I am a redhead. I swear. Start by slicing your squash in half lengthwise. Season with s&p. Next, make your herb oil. Chop the fresh herbs and mince the garlic and place it all in a small bowl with 2 T. of olive oil. Add a little salt and pepper and muddle. You know, kind of smoosh it up against the side of the bowl with a spoon to release the flavors of the herbs and garlic. Yes, smoosh. It’s a technical term. You should say it, it’s a fun word to say. You said it, didn’t you? or…if you don’t want to go through all that smooshing, you could just add it to a mortar and pestle, if you have one. Once muddled, set the oil aside and put a cast iron skillet on medium to medium-high heat. Pour enough oil in the pan to coat the bottom and add a pat of pastured butter. 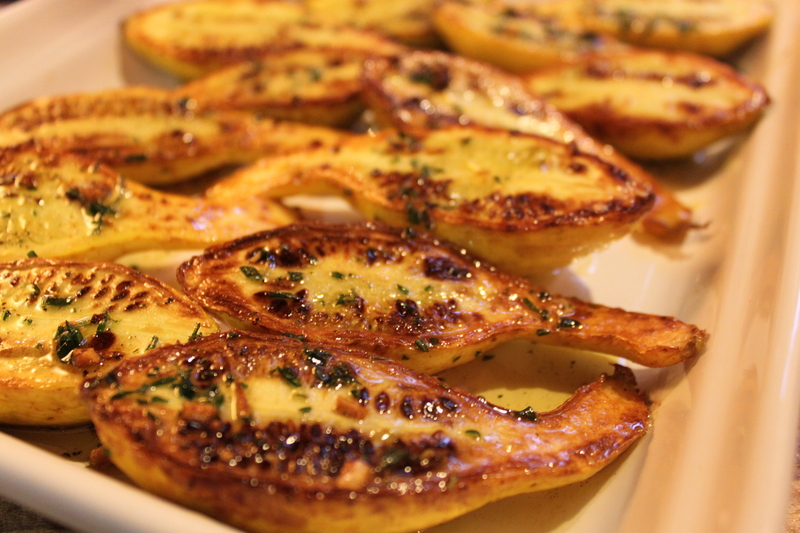 When the oil and butter sizzle, place the seasoned squash in the pan cut side down, and leave them until they brown. When nicely browned, about 5 minutes, remove them to a platter and drizzle the herb oil over the top. Now, here’s the hard part…try not to eat half the platter before you get to the dinner table like I did. Enjoy! Simple. Beautiful. Good for you. What’s your favorite squash? This entry was posted in Veggies and tagged crookneck squash, squash, yellow suash.